*10,000 miles per year. Must qualify with approved credit. *6 years/72,000 miles (whichever occurs first) New Vehicle Limited Warranty on MY2018 VW vehicles, excluding e-Golf. See owner’s literature or dealer for warranty exclusions and limitations. * Based on using all avilable incentives. Certain restriction applies. *6 years/72,000 miles (whichever occurs first) New Vehicle Limited Warranty on MY2018 VW vehicles, excluding e-Golf. See owner’s literature or dealer for warranty exclusions and limitations. Our customer satisfaction speaks for itself. Looking for OEM parts? Look no further than Muller Volkswagen. When you bring your business to Muller Volkswagen, we’re confident you will not be disappointed. We tailor our process around your top priorities. We can get exactly what you want out of your visit. We cut out all the hassles you expect, allowing you to fully enjoy the experience. Don’t believe us? See for yourself by paying us a visit! It doesn’t matter if you’re searching for a new Volkswagen model or a reliable pre-owned option, the inventory at our dealership is sure to impress even the most discerning shoppers. From the stylish VW Jetta to the iconic Golf and Beetle models to spacious SUVs like the Touareg and Tiguan, we have it all. To sweeten the deal, we also make sure to roll out fresh specials each month, ensuring every customer has a chance to drive off in the car of their dreams. For drivers who want to buy a dependable car without breaking the bank, our selection of used Volkswagen models, and pre-owned vehicles from all different makes, is sure to match your needs. Our VW finance team will also help you at every step of the way to ensure you have a seamless car-buying experience with us. When it comes time to repair your Volkswagen, we want you to know that you can trust us with any job, big or small. Our expertly trained VW service technicians emphasize quality and timeliness when it comes to your repairs. You can rest easy when you drop it off for an appointment. We make it as easy as possible to get one that works for you, as scheduling online couldn’t be any simpler. 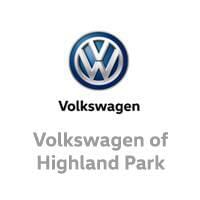 If you’re in need of quality Volkswagen parts too, then you’re in luck. Feel free to visit at any time to pick up things like floormats, windshield wipers and just about anything else you could think of. If for some reason we don’t have what you need in stock, we’ll be happy to place an order on your behalf! For a dealership that stands out from the pack and puts your needs first, come to Muller Volkswagen. We are conveniently located at 1340 Park Ave West in Highland Park, meaning any driver from Northbrook, Chicago and the rest of Illinois has easy access to our services. We are proud to serve all customers in Chicagoland. Whether you live in Highland Park, Libertyville, Skokie, Evanston, Mundelein, Waukegan, Glencoe, Glenview or Lake Forest we’re here for your Volkswagen needs. We have satisfied customers from Northbrook, Northfield, Deerfield, Lincolnshire, Arlington Heights, Schaumburg, Wilmette, Des Plaines, Lake Bluff, Riverwoods, Vernon Hills, Winnetka, Chicago, North Chicago, Gurnee, Niles, Park Ridge, Buffalo Grove, & more.